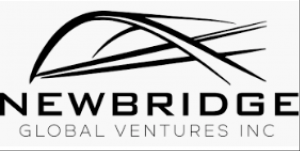 NewBridge Global Ventures, Inc. (OTCQB: NBGV) is a US public company acquiring and currently operating a vertically integrated portfolio of California cannabis and hemp companies. Its vertical structure includes cannabis cultivation, manufacturing, distribution and consulting services. It is currently licensed to cultivate, manufacture, and distribute both medical and recreational cannabis in the California market, the largest in the world. In July, 2018, Newbridge Global Ventures announced the acquisition of six cannabis related companies in northern California, and as a result, by Q1 2019, expects to have fully licensed and compliant facilities for a tissue culture lab and cloning nursery, indoor & outdoor cultivation, oil extraction and distribution. The founders of the acquired companies – pioneers in the California cannabis industry – have been given senior executive operation management positions and membership on the Board of Directors, and key staff has been retained, bringing their expertise and experience to the team. 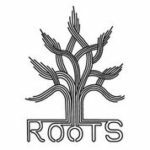 Roots of Caly DBA Roots Nursery is a quality indoor nursery with the capacity to produce up to 65,000 clones per month. It is currently building a state-of-the-art 6,000 square foot facility on company-owned property located in Oakland’s “green zone”, expected to be completed by the end of 2018. The facility will supply high quality and proprietary genetics to both its own operations and other cultivators throughout California. The Bay Clonery is building-out a 5,000 square foot company-owned facility inside a 45,000 square foot compound in Santa Rosa, California which will be completed later this year. This facility will contain a tissue culture lab and its nursery will have the capacity to produce more than 100,000 clones per month. 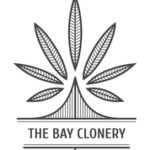 By preserving the genetics of proprietary cannabis strains and collaborating with breeders and seed banks, The Bay Clonery plans to create and maintain a genetic clone library, enabling the genetic testing of strains that show promise. By identifying strains that have higher percentages of either THC or CBD, a whole new segment of products may develop which could hold significant medical promise. 5Leaf Extraction is positioning itself to be a leading cannabis and industrial hemp manufacturer of Full Spectrum Oils (“FSO”) distillate, as well as THC isolates and strain specific terpenes for local craft cannabis cultivators, recreational and medical brands, and potential R&D by pharmaceutical companies. 5Leaf is headed by its President, Dr. John MacKay, a pioneer in CO2 supercritical extraction with over 20 years of experience in extraction techniques and equipment development & manufacturing. Two separate build-outs are in progress, including a company-owned 10,500 square foot extraction facility in Oakland, and a company-owned 6,500 square foot warehouse inside a 45,000 square foot compound in Santa Rosa, California. Upon completion, 5Leaf should have the capacity to process more than 2,000 lbs. of biomass per day yielding an estimated 200 lbs. of FSO. 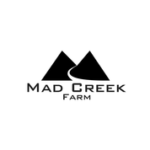 Mad Creek Farm is a 27-acre company-owned farm in Mendocino, California. Phase one will host two state of the art indoor greenhouses totaling 10,000 square feet, designed to produce 5,000 pounds of biomass per year. Mad Creek should be fully operational in Q2 of 2019. GENUS Management & Consulting Group is an Oakland-based management services company integral to the operations of 5Leaf, Roots Nursery, Mad Creek Farm and The Bay Clonery. With over 45 years of collective experience building successful and compliant California cannabis companies, it is uniquely positioned to provide consulting services to cultivators, processors, and retail brands. Its services include compliance, licensing, permitting, budgeting, brand/product development, infrastructure development, insurance and any other aspect of business development. 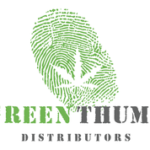 G reen Thumb Distributors will operate as the company’s compliant cannabis distribution company. With 45 years of combined experience, its leadership team has built relationships with industry leaders and pioneers. The company will provide distribution services to cannabis & hemp entrepreneurs who may not want or be able to bear the high costs of regulations. Green Thumb will package, label, and distribute products for cultivators, manufacturers and retailers who, by law, require third party distribution services. Elevated Education produces online and in-person modules designed to educate physicians, clinicians, healthcare insurers, public servants, educators, and cannabis industry professionals worldwide on a range of subjects, such as the human endocannabinoid system, pharmacology, and effective clinical applications for medical marijuana. On October 25, 2018, Dr. John MacKay was appointed as president of 5Leaf Extraction and Elevated Education. Dr. MacKay earned his B.A. in Chemistry at St. Lawrence University, and his Ph.D. at the University of Vermont, focusing on Inorganic Chemistry and on the synthesis of cancer fighting compounds, and is recognized as a scientific expert in sub and supercritical fluid for chromatography and extraction within the botanical space. 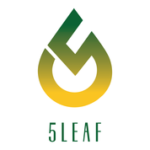 At 5Leaf, he will focus on maximizing productivity of work flow for botanical and medical cannabis, and oversee the build-out of both Newbridge refineries, including quality assurance and control, to ensure both are in full compliance with state and federal regulations. He will also be involved in developing the curriculum for Elevated Education. With an experienced management team and a focus on compliance, industry best practices, standardization, and corporate governance, NewBridge Global Ventures is positioned for growth in California’s enormous legal cannabis market and the industrial hemp Industry.